Anxiety is something that everyone experiences from time to time. However, feeling anxious is something that can cause some people to find day to day life very very difficult. 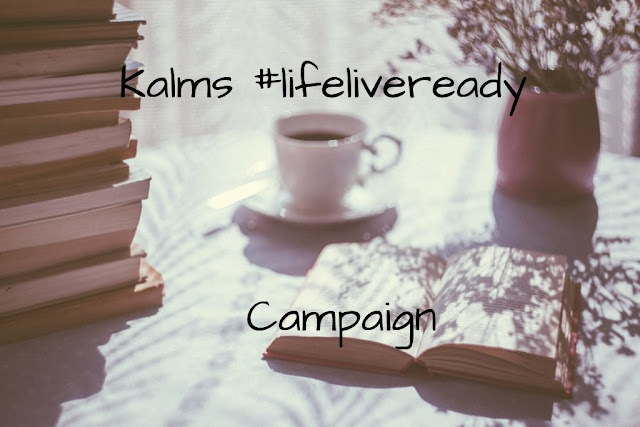 Kalms are starting a campaign called #livelifeready to highlight the issues caused by anxiety. Over the next week I will be writing about the feeling of anxiety I experience and how I over come these. But first lets look at the basics of what anxiety is. Anxiety is defined as “A feeling of worry, nervousness, or unease about something with an uncertain outcome"
How is anxiety different to stress? Stress used to associated a feeling people experience when they have demands which are greater then they can manage. For example, having a bigger workload they you can manage, having to deal with a difficult medical or financial situation. This cause of stress usual has a factor which is very clear. However, anxiety is the feeling of anticipation of an event that may not happen, which can often be distressing. Pop back in tomorrow for my first diary extract!